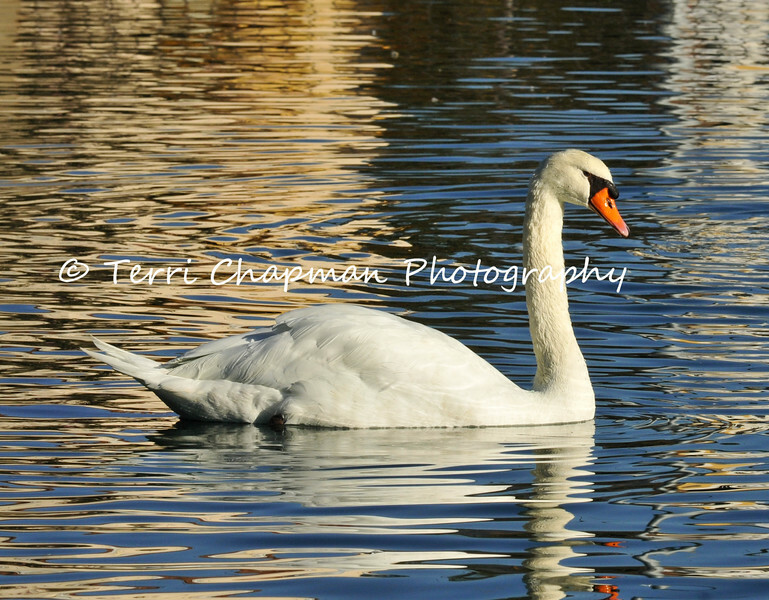 This is an image of a Mute Swan swimming in a pond located in Glendora, CA. A native of northern and central Eurasia, the Mute Swan was introduced into North America to grace the ponds of parks and estates. Escaped individuals have established breeding populations in several areas, where their aggressive behavior threatens native waterfowl. The black knob at the base of the male Mute Swan's bill swells during the breeding season and becomes noticeably larger than the female's. The rest of the year the difference between the sexes is not obvious.